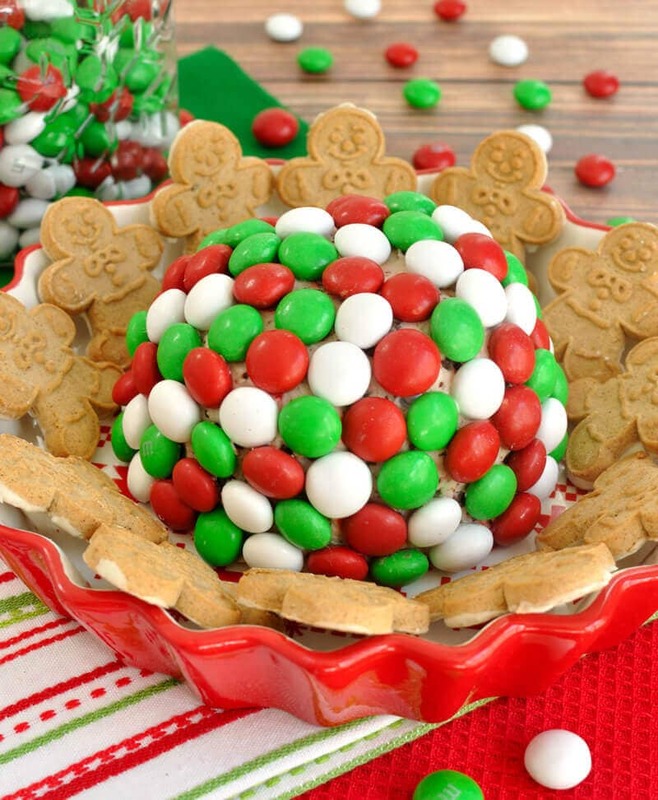 A minty, fun and festive dessert dip is what I call a Holiday M&M Peppermint Cheese Ball. This super easy cheese ball will be the talk of your next holiday party and have your guests coming back for more. 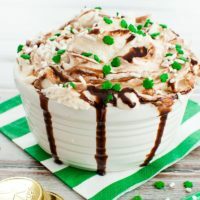 which are the white chocolate peppermint version, but I couldn’t find them in my local stores when I went shopping for this dip so I went with the Holiday Mint M&Ms instead which are milk chocolate and mint. Of course, I found the white chocolate ones in the store the very next week. Don’t you hate when that happens? After making it though, I actually really love the look with the bright green thrown in the mix. Either ones will work really well in this recipe to give it a double punch of mint flavor. I found this really cute serving bowl at Target at “the one spot” right by the front door (that’s a dangerous area). 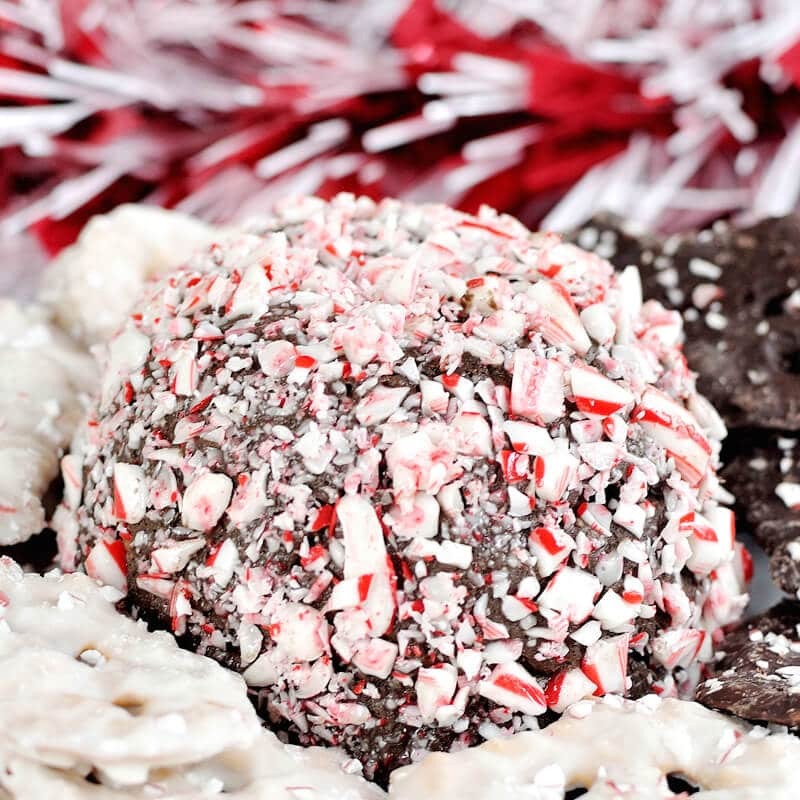 I knew it would be the perfect serving dish for this peppermint cheese ball. How cute are those little gingerbread men cookies circling around it too? 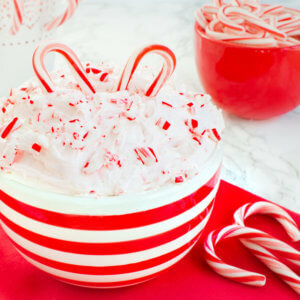 Peppermint is great with gingerbread believe it or not. Easy 5 ingredient dessert for the holidays. 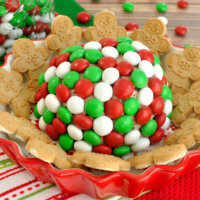 This minty, fun and festive Holiday M&M Peppermint Cheese Ball will be a hit with your guests. Using a mixer on medium speed, cream together the cream cheese and butter until smooth and fluffy. Slowly add in the powered sugar and the peppermint extract and mix until smooth. 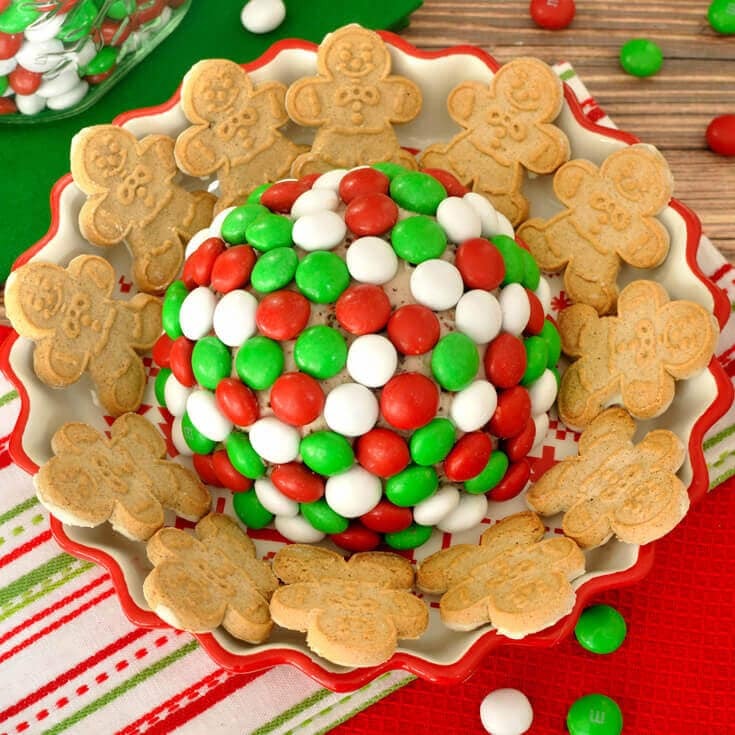 Fold in crushed M&M candies. 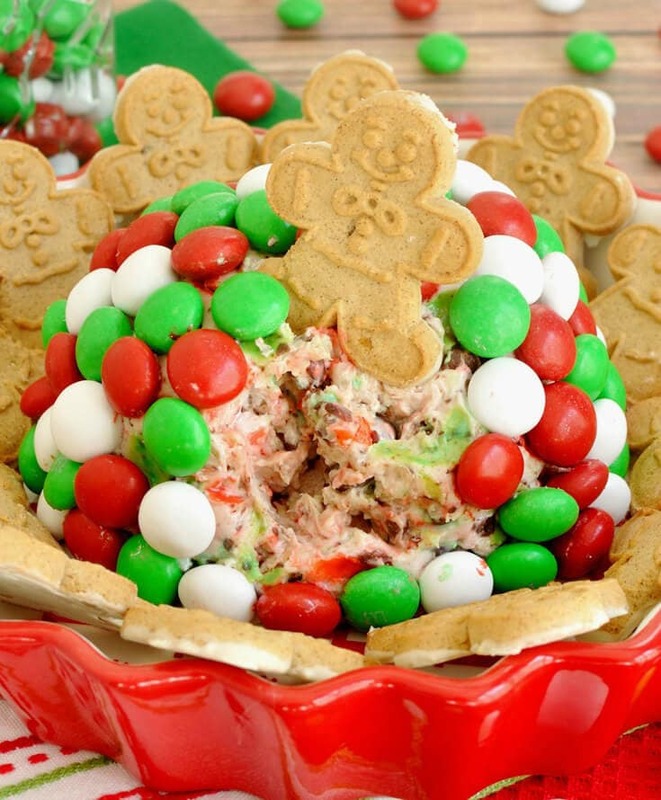 Right before serving, cover with M&Ms by gently pressing them into the cheese ball. 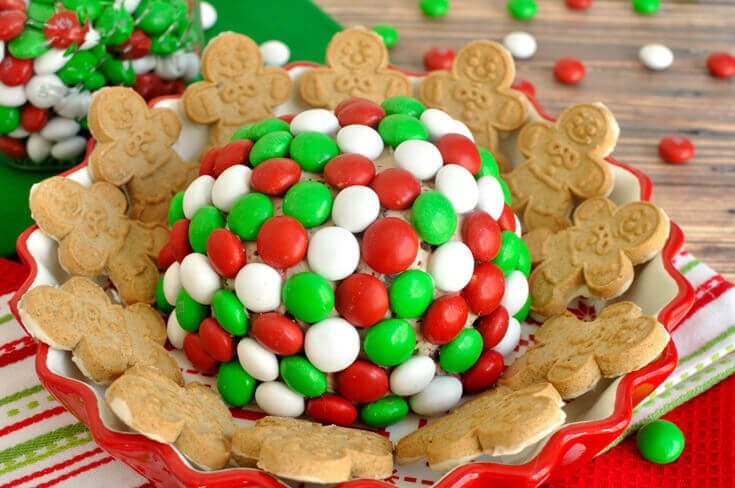 Serve this Holiday M&M Peppermint Cheese Ball with graham crackers or your favorite selection of cookies.